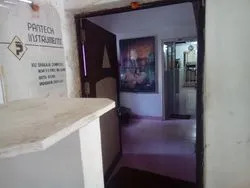 Established in the year 1990, we, “Pantech Instruments”, are a renowned name, which is engaged in manufacturing, supplying, trading and exporting an unparalleled range of Controllers, Indicators, Isolators and Allied Electronics Instruments. Under this range, we offer, to name a few. Additionally, we are offering Loop Powered Indicator, Configurable Indicator, Signal Isolator, Process Indicator & Controller, Input Signal Isolator, Universal Indicator & Configurable Controller, Universal type Process Indicators & Controller, Configurable Controller and Predefined I/P Indicators & Controller, amongst few. These products offered by us are manufactured utilizing premium grade raw material, which is procured from trustworthy vendors of the market. In addition to this, the offered range is highly appreciated among the clients for its durability, high efficiency, reliable performance and robust construction. Our quality personnel make sure to inspect the entire range on different parameters to maintain its authenticity throughout the entire manufacturing process. In order to handle the business related activities systematically and smoothly, we have constructed an advanced infrastructure. The premises is suitably installed with all the required amenities that are needed for offering an unmatched range of instruments at clients’ premises. To ensure that each business dealing in a streamlined manner, personnel appointed by us ensure to segment the premises in different units such as manufacturing, quality testing, research & development, warehousing and administrative. Experts appointed by us make sure to append and respond the emerging requirements of respectable clients, by keeping healthy relationship with them. In addition to this, professionals appointed by us ensure to maintain a prosperous environment in the premises, by working in proximity with each other. Research & development professionals appointed by us ensure to conduct several tests and surveys to abreast the offered range with the latest technological advancements going on. Our personnel make sure to deliver the offered range at customers’ base within the committed time frame. Owing to the vast manufacturing facility, transparent business dealings and ethical code of conduct, we are able to garner numerous clients across the Indian Subcontinent, Middle East, East Asia and South East Asia. We, Pantech Instruments, ensure to serve numerous clients such as Bharat Glass Tubes Ltd. Jambusar - Gujrat, Bhilai Steel Plant Bhilai - M. P. and Birla Cellulosic Kosamba – Gujrat, to name a few. Under the guidance of our mentor, ‘Mr. Ashish Pandya’, we are able to lead among the counterparts in this domain. His wise managerial skills, commendable knowledge, rich experience, ethical trade practices, leadership attitude and practical approach have enabled us to win the trust and confidence of clients across the globe. We have hired a deft team of proficient professionals, which aids us in offering an unmatched range of Controllers, Indicators, Isolators and Allied Electronics Instruments. These experts are hired via stringent selection procedures to assure of their capabilities and professional work area. Personnel appointed by us ensure to append and respond to the emerging requirements of esteemed customers, by maintaining constant communication with them. In addition to this, these personnel make sure to deliver the offered range at customers’ premises within the scheduled time. In order to handle the business related activities in a streamlined manner, we have constructed an advanced infrastructure. The premises is suitable installed with modern machinery and advanced technology that aid us in delivering a comprehensive range of Controllers, Indicators, Isolators and Allied Electronics Instruments. Our personnel make sure to thoughtfully segregate the premises in different units such as manufacturing, quality checking, warehousing, research & development and administrative. This division is done to ensure that each business dealing is executed systematically. Professionals appointed by us ensure to upgrade the installed machines so as to maintain and improvise the production rate accordingly. Basically all being an R & D hearts here, this is a passion for us. A Driving force for us to get to something new. We are able to render maximum satisfaction to respectable clients, by offering an unparalleled range of Controllers, Indicators, Isolators and Allied Electronics Instruments. These products are designed utilizing optimum grade components that are procured from trustworthy vendors of the market. Moreover, the able personnel appointed by us make sure to meet the diverse demands of honorable clients, by keeping constant communication with them. Professionals hired by us ensure to dispatch the ordered consignment at clients’ premises within the committed time frame. Owing to these factors, we are able to garner vast clients’ base across the Indian Subcontinent, Middle East, East Asia and South East Asia. Bharat Glass Tubes Ltd. Jambusar - Guj. Bhilai Steel Plant Bhilai - M. P.
Birla Cellulosic Kosamba - Guj. Birla-Kent Taylor Ltd. Faridabad - Har. Century Pulp & Papers Nainital - U. A.
Coastal Papers Secunderabad - A. P.
For more details please find the attachment.